Two Australian SMEs have secured contracts for the UK’s Type 26 Global Combat Ship being built by BAE Systems. While in London, Minister for Defence Industry Christopher Pyne announced Tasmania's Liferaft Systems Australia and Victoria's Mackay Consolidated Industries have won contracts to contribute to the frigates. Liferaft Systems Australia, which is also a supplier to the Queen Elizabeth Class aircraft carriers, will provide the Type 26 Marine Evacuation System, while Mackay Consolidated Industries will supply pipe hanger inserts, a key component in reducing underwater noise that is essential for anti-submarine warfare. BAE Systems’ Global Access Program has been working with the Type 26 program for more than three years to identify opportunities for Australian companies to compete for work across a range of programs. Chief executive of BAE Systems Charles Woodburn said the contracts demonstrate the ongoing success of the BAE Global Access Program. "The signing of these two contracts today for the Type 26 program shows continuing momentum on the UK program, where we have commenced work on the first ship, Glasgow, in the UK," Woodburn said. "Our Global Access Program ensures that Australian companies are able to compete for work across the entire BAE Systems global supply chain." BAE Systems (UK) is competing for the Australian government’s $35 billion SEA 5000 Future Frigate program, where the company has bid to replace the existing fleet of eight Anzac Class frigates with nine anti-submarine warfare frigates. The company is offering the Global Combat Ship-Australia, a variant of the UK’s Type 26 Global Combat Ship that is currently being manufactured at BAE Systems’ facilities in Glasgow. The Type 26 Global Combat Ship will be a globally deployable, multi-mission warship capable of undertaking a wide range of roles from high intensity warfare to humanitarian assistance. BAE Systems says the ship will take full advantage of modular design and open systems architecture, ensuring it can be easily upgraded as new technology develops and can accommodate different sub-systems and equipment suited to potential overseas customers' needs. 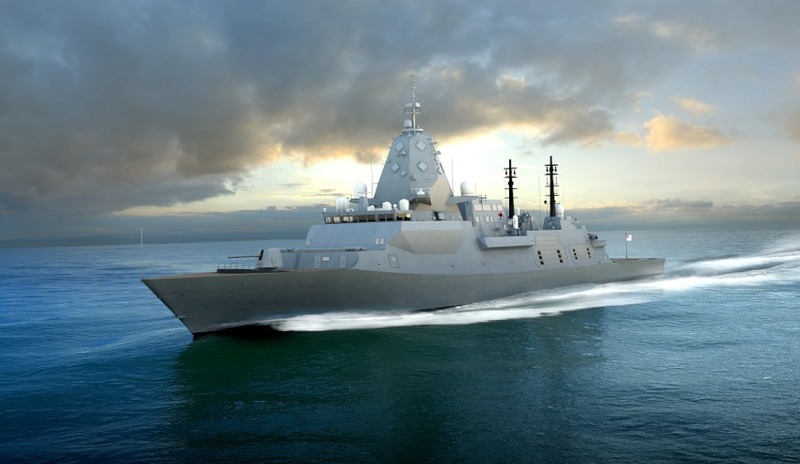 BAE Systems has said, if named as the successful SEA 5000 contender, it will establish a digital shipyard that will transform Australia's shipbuilding industry and facilitate a transfer of intellectual property and technical data, including the digital ship design optimised for the production of the Global Combat Ship. The British firm said the design authority transfer will start in 2018, leveraging an investment of more than $1.5 billion in design and engineering effort to date to develop the world’s most advanced warship. BAE Systems Australia chief executive Glynn Phillips said the Early Careers Program will be the first step in workers securing a job for life, if the company is selected as the successful tenderer. "If BAE Systems is down-selected for SEA 5000, by the end of the construction phase – circa 2038 – we estimate that 75 percent of our workforce, including senior executives, will have started as graduates or apprentices, making a job on SEA 5000 potentially a job for life," said Phillips. "Our commitment for SEA 5000 is to build a diverse and skilled workforce in Australia. I am confident that our Early Careers Program will attract Australia’s brightest talent from schools and universities."